3 days riding with fully qualified, friendly and confidence building UKCC Coach’s Amanda Roebuck and Liane March. 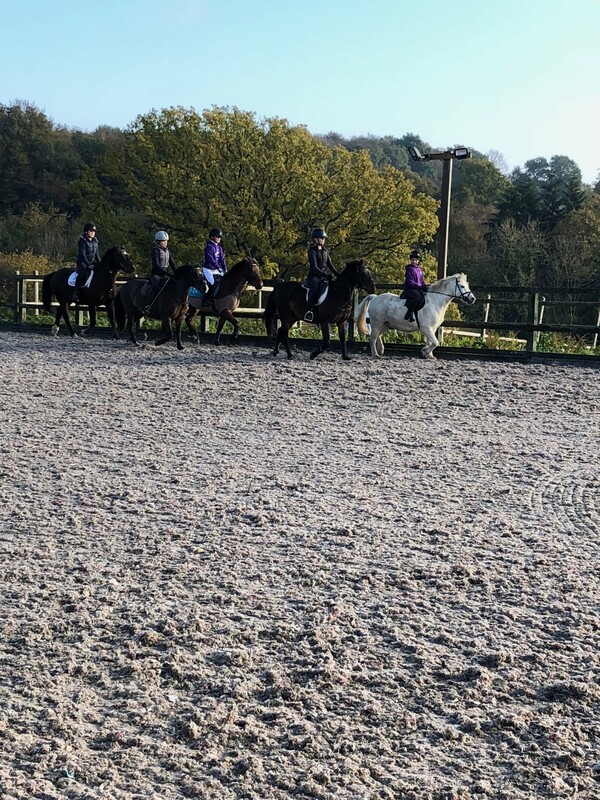 Small group lessons, cross country, showjumping, flatwork all abilities catered for. New XC course for 2019, by Dominic Moore and Jump 1. Very extensive to cater for all abilities from absolute beginners to BE100. Mini schooling area that is like the big course, but in miniature with ditches, brushes, corners, steps, etc. New fences that link together for all levels allowing more routes and options. Built to BE specifications. Jumping Field with excellent showjumping course, good selection of jumps. Day 3 – 1 lesson or hack and clear round jumping competition. Stabling hay/bedding provided or grass paddocks available. Beautiful self catering cottages to stay in or you are welcome to camp/stay in lorry/caravan therefore prices vary depending on which option you prefer – costs £290 – £340. Fun Pony Eventing Clinic: With Amanda Roebuck small group lessons in all 3 disciplines in a fun and relaxed way, bring a packed lunch. Group sessions on our extensive xc course at Hurstwood Farm. Come and use our extensive xc course with coaching from Liane March, a BE accredited UKCCII coach who has ridden to advanced level. The groups will be split according to ability and cater for those wanting an introduction to xc jumping around 60cm, up to those with more experienced jumping around 1m. 80 minute sessions with maximum of 5 riders in each group, £30 per rider (including course hire). A £15 deposit must be paid to secure your booking. To book or any enquiries please call or text Liane on 07894551755. Group sessions on our extensive xc course at Hurstwood Farm. Come and use our extensive xc course with coaching from Liane March, a BE accredited UKCCII coach who has ridden to advanced level. The groups will be split according to ability and cater for those wanting an introduction to xc jumping around 50cm, up to those with more experienced jumping around 1m. No more than 4 riders per group, 75 mins. £30 per rider (including course hire). A £15 deposit must be paid to secure your booking, if the ground on the course is unsuitable groups will still go ahead in the outdoor school and work on simulated xc jumps (angled rails, bounces, skinnys, barrels, arrowheads etc.) but this will only cost £15 each. please call Liane for times and further information 07894551755. 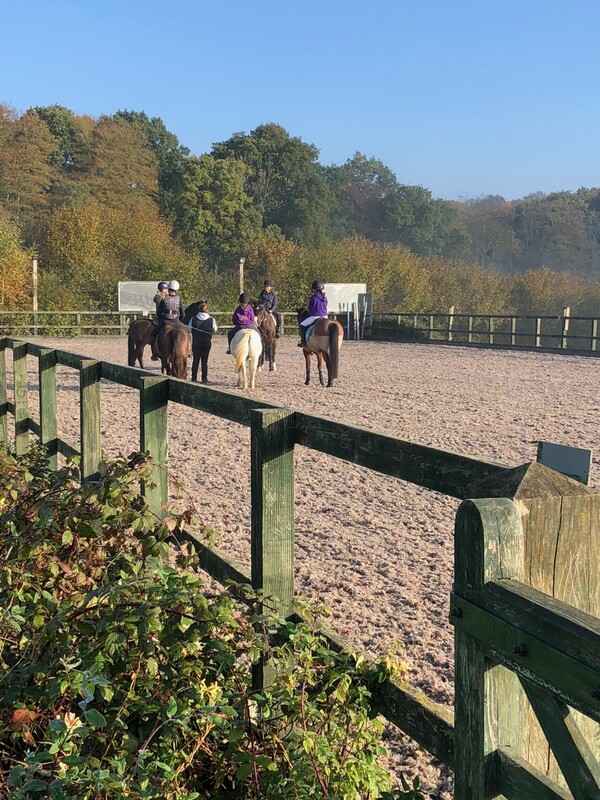 Group lessons designed to develop confidence in both horse and rider whilst working on different aspects involved in successfully jumping a course in a consistent rhythm. Hour sessions with maximum of 4 riders. £15 each. For more information or to book feel free to call or text Liane 07894551755.